Magazines, webzines, radios, bloggers etc. - feel free to publish the following press release in its entirety, or any of its parts. Scroll down for photos and graphics. Get in touch if you need any further information, or access to high quality photos, mp3 or videos. 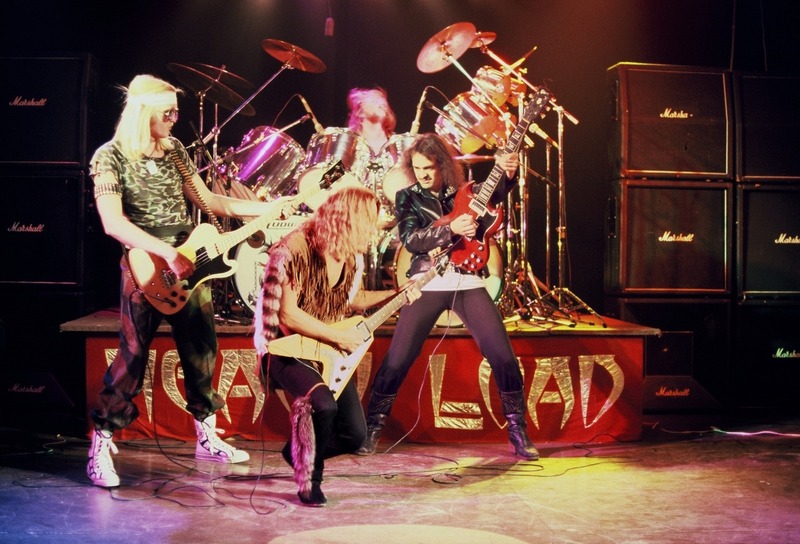 HEAVY LOAD are known as the "First Viking Metal band ever", and all their releases are an absolute classics of the classic heavy metal genre. "Death Or Glory" is their second studio album, originally released in 1982, and includes the ultimate metal hymns such as "Heavy Metal Angels" and "The Guitar Is My Sword". The No Remorse Records reissue is the FIRST OFFICIAL ONE and made in full cooperation with the band, since the Japanese version released in 1996 - remastered from the original source tapes by the Wahlquist brothers, incl. bonus tracks, and coupled with an amazing booklet. The album will be available as: regular CD version, deluxe digipak CD, black vinyl LP with bonus CD, limited edition red vinyl LP with bonus CD, and a limited edition box set, that includes: blue vinyl LP with bonus CD, digipak CD, as well as an exclusive t-shirt and a patch. Each CD pre-ordered at www.noremorse.gr comes with a free patch, and each LP comes with a free poster with the album artwork. 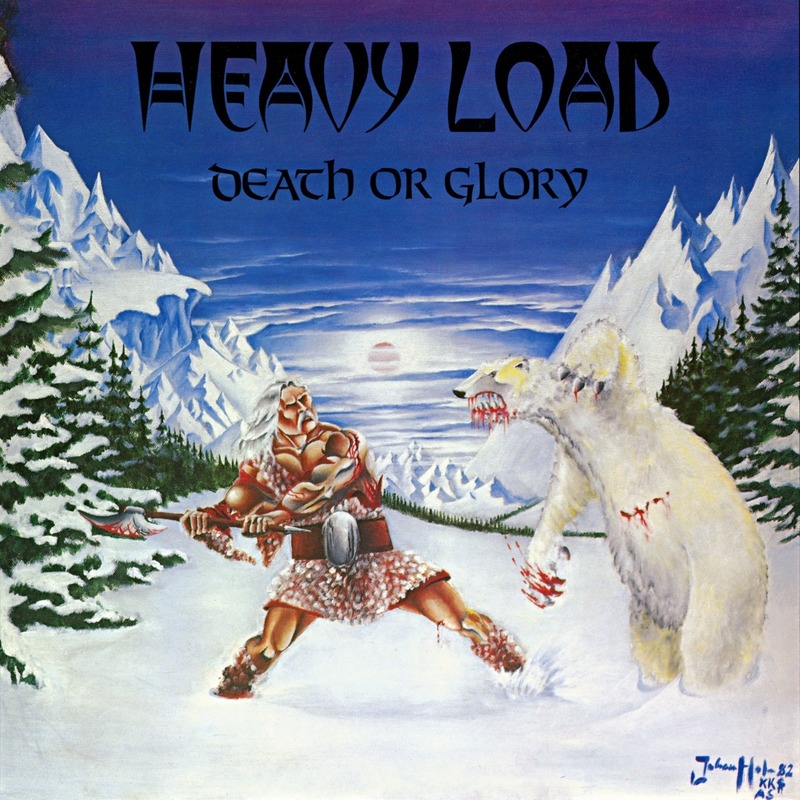 It is generally held that Heavy Load was the band that started the Swedish wave of heavy metal in the middle of the '70s - their first album was released in 1978. They are also considered to be the first Viking Metal Band in the world. Heavy Load was established in Stockholm during the grim winter of 1974-1975 by two brothers: Ragne Wahlquist (vocals, guitars and keyboards) and Styrbjörn Wahlquist (vocals and drums). The vision and passion of the Wahlquist brothers was always the kernel of the band’s audacious drive, its drive to venture out on musical journeys and to spread their music to the world. The Viking heritage has been an important source of inspiration ever since their childhood. The brothers’ emotional connection to people of a remote past, people with whom they share everlasting human challenges, was destined to find an outlet in their music. 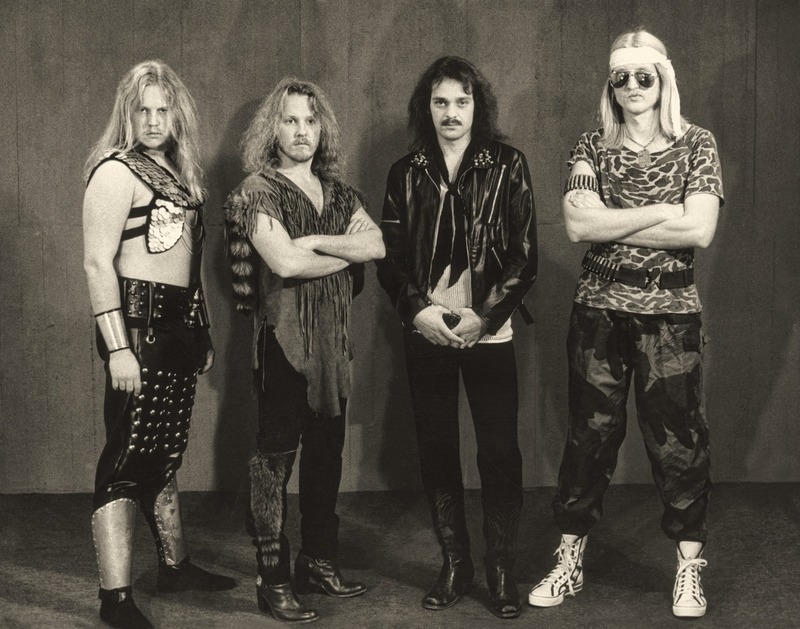 As a consequence, the brothers merged '70s Hard Rock with Viking settings and sentiments, resulting in the band’s distinctive style of music and lyrics: Viking Metal. A style which came to inspire later bands in Sweden and elsewhere. 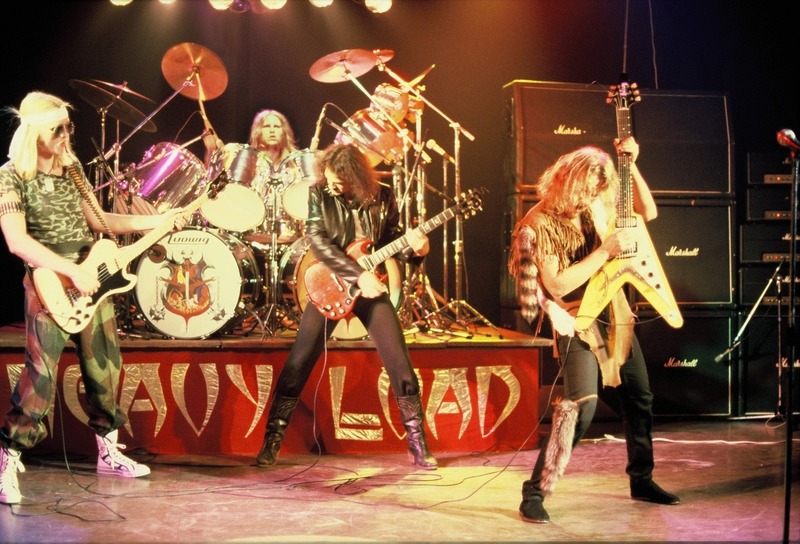 Heavy Load released their albums between 1978 and 1983. For about three decades their records had not been officially manufactured, but in constant demand selling in great quantities as bootlegs. Thanks to an epic pact between the band and No Remorse Records, high quality re-releases of their whole back catalogue are being made available again. These first ever official reissues are expanded with bonus tracks: some of these tracks have never been heard by the public before - demos and songs intended for the albums which had to be dropped due to the limited playing time on LPs. The reissues are available on both CD and vinyl format, and each reissue is be coupled with a great looking booklet, designed by the Wahlquist brothers themselves. Both the CD and the LP booklets feature previously unpublished photos, as well as expanded liner notes. In January 2018, the album "Stronger Than Evil" (1983) was re-released with additional, previously unreleased bonus tracks. All band’s other albums will follow and take the listeners back to the birth of Swedish heavy metal. Now, at last, the next re-release will be made available: "Death Or Glory" (1982) will be out with bonus tracks and extensive booklet on May 17. The bonus tracks include, among others, an extended re-arranged version of "The Guitar Is My Sword" with a recently recorded guitar-solo, as well as one song that has never been released on record before, "Dying Is Losing". "Dying Is Losing" was composed as early as 1978. Despite its numerous demo recordings, it was not placed on any of the albums due to the limited playing time of vinyl LPs. At last, with recently recorded vocals and guitar solo added to a demo recording from 1982 it found its way to the audience. In order to guarantee the best sound quality, the reissues have been re-mastered, by the Wahlquist brothers themselves, directly from the original analogue tapes, at the Atlantis Studio in Stockholm, which is one of the few studios that still have the capacity to handle recordings the old analogue way. The passion of their fans rekindled the passion of the Wahlquist brothers. They had tried to stay away from music for decades, but finally the brothers could not resist any more. 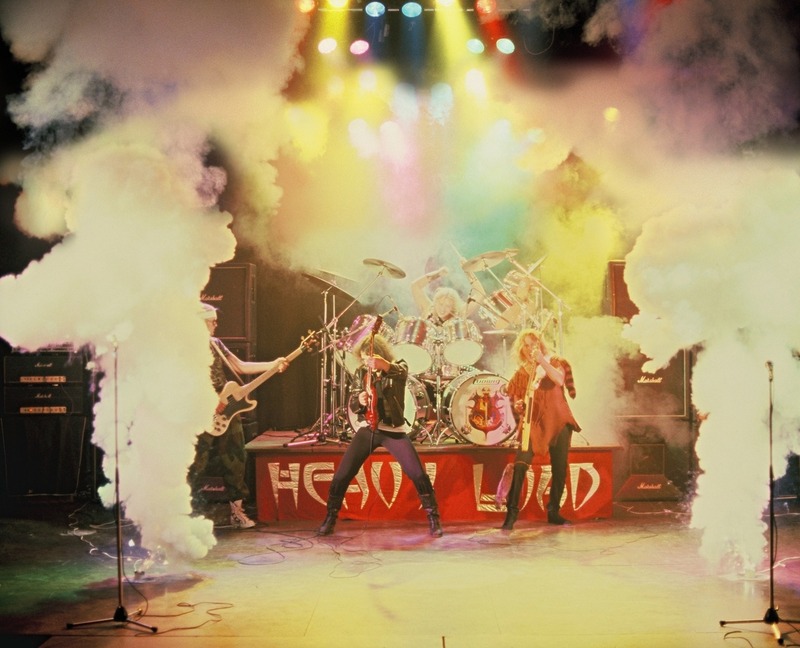 During the spring of 2018, Heavy Load returned to the stage after 33 years of absence. For fans of classic heavy metal, it had been a long time coming to finally see this legendary band, a comeback no one thought would ever happen. For the band, it was amazing to meet both their old and new fans. The band was astounded by the fact that most of their new fans were not even born when they did their last tour in 1985. In addition, it was the 40th anniversary of the release of their first album. Heavy Load headlined the Keep It True festival in Germany, as well as Up the Hammers festival in Greece. At the Sweden Rock Festival, they had the most prominent slot of the evening, second only to that of Ozzy Osbourne (that day the festival had 35 000 visitors). The passionate love and joy that greeted the band ignited their flame even further, and currently they are composing and recording for a new album, the first in 35 years.